Tim Burton brings his unique take on a favorite story to the Disney film, Alice in Wonderland. Here, the Mad Hatter doll wears a costume exactingly re-created from the movie. 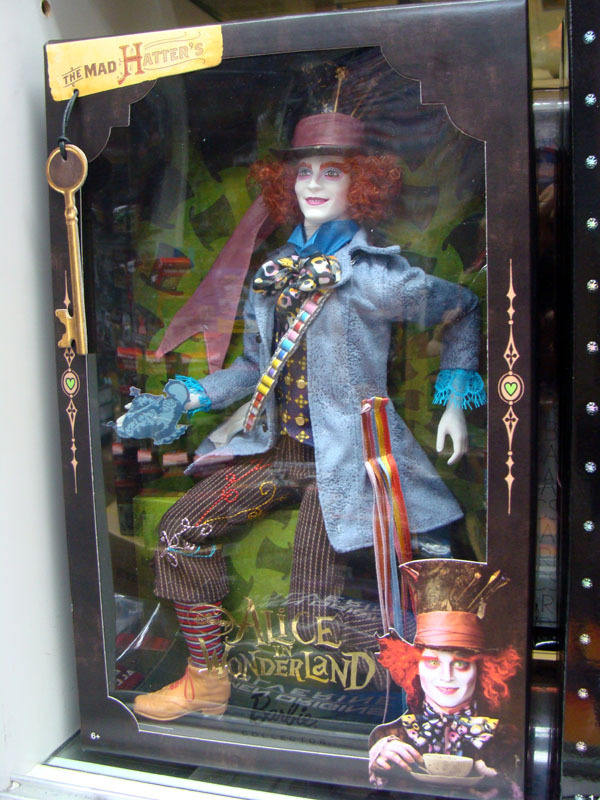 From his delightful top hat that frames his cartoonish features and curly red locks to his colorful costume, this is one adorable doll you’ll go mad for! This is a Pink Label collection from Mattel and product code: T2104. Selling hot now at Toywiz Malaysia for RM249 each.